Clairs Christmas Meal............Festive fun or failure? So, is it possible to have a Grubgang worthy Christmas meal, still sticking to the £20 budget? Well, dining here it is possible to get 3 courses for £12.99, still leaving plenty of money left over for a festive drink or two!! 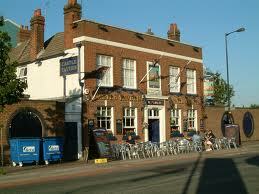 The pub is a little cramped, especially when busy but has a lovely atmosphere. The management and staff are friendly and helpful, making the planning of a christmas do less stressful. All in all, the facilities were clean, and with the jollyness of the staff, i feel that the Chrsitams menu for that price was just right. If I could change anything though, I may have changed some of my menu choices.